During what should have been a beautiful day to be in the heart of Manhattan on Thursday May 18th, Times Square quickly turned into a scene of carnage and tragedy. 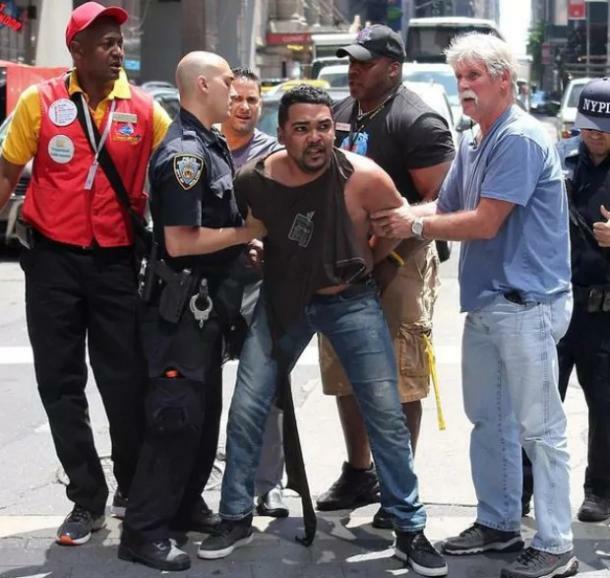 Just about noon, Richard Rojas, 26, from the Bronx, purposefully rammed his Honda Accord into people standing on the streets, mowing them down before he crashed into a bollard on 45th Street and Broadway. One Michigan teenager died and 22 more were injured, some severely. 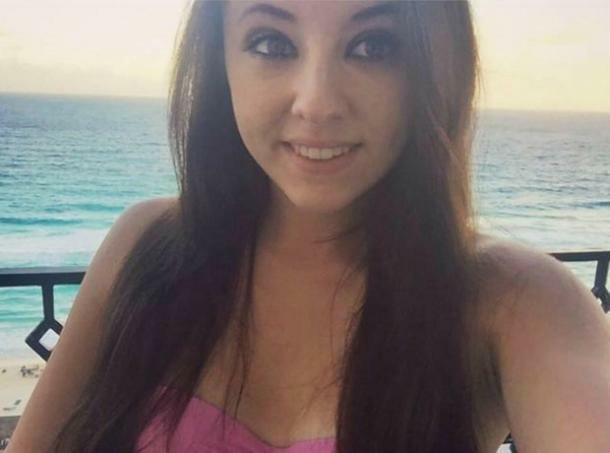 Alyssa Elsman, 18, was visiting the city with her mother and sister when she was fatally struck. With the string of attacks overseas involving similar incidents, the fear that this was another terrorist event escalated quickly. Streets were closed to the public, bomb squads were called in, and news stations were ready to cover this 24/7 ... until it was noted that it was a purposeful murder, but NOT terror related. The all day news cycle then went back to politics (and everything Trump and Russia related) with a quick check-in every now and then on the incident. This man instilled fear and terror into a large number of people. According to Dictionary.com, terrorism is defined as the use of violence and threats to intimidate or coerce, especially for political purposes. In that regard, because there was no political agenda and it wasn't ISIS related, it wasn't terrorism. Richard Rojas stated that God made him do it [crash his car into people and murder them]. Had Rojas claimed it was "Allah," would the classification of the incident be changed from accident to terrorism? Without focusing any further on semantics, I'd like to acknowledge that this would have been a completely different scenario had one SINGLE word been changed by the killer, Richard Rojas. The following full video shows Richard Rojas driving into the crowd of people before ultimately crashing. 1. Richard Rojas wanted to kill all of the people he ran over. 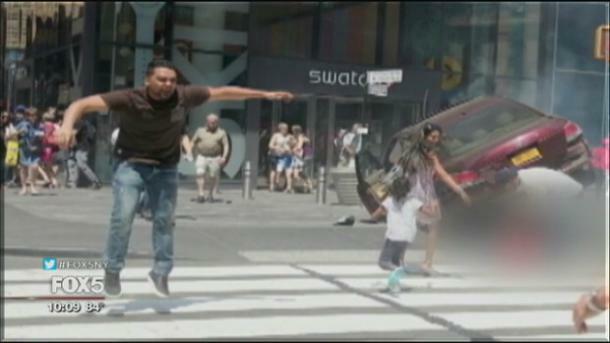 After the crash, Rojas jumped out of the vehicle screaming and flailing his arms before trying to flee the scene. Officers, a ticket vendor, and a bouncer from the nearby Planet Hollywood tackled and subdued him. Initial reports indicated that he had been drunk, but he blew a 0.0 on the sobriety test at the scene. He told officers later that he had laced his marijuana with PCP and wanted to be killed by police and that he was "hearing voices." 2. Richard Rojas had a criminal record and was arrested on separate charges JUST last week. Richard Rojas pulled a knife on a notary and asked "Do you feel safe? "; Rojas believed the notary had stolen his identity. He was arrested but pled guilty to lesser charges and was released. Had he still been in jail for the crime in which he committed, 1 person would still be alive, 22 others wouldn't be injured and many more wouldn't have been traumatized from the incident. 3. Richard Rojas was in the U.S. Navy. ​Friends of Rojas claim that he was never the same after being discharged from the Navy for disciplinary reasons in 2014. After enlisting in 2011, he was stationed in Illinois then Jacksonville, Florida where he earned the rank of an electrician's mate fireman apprentice. Rojas was never sent overseas. Suffering from paranoia, Rojas turned to alcohol and drugs, often talking about demons and conspiracy theories. Rojas lived with his mother in the Bronx. 4. Richard Rojas is being charged with numerous offenses. On Friday, Rojas was arraigned on one count of second-degree murder, 20 counts of attempted murder, and one count of aggravated vehicular homicide. No plea was entered and Rojas is scheduled to appear in court again next week. 5. There will be an investigation into Rojas to see if this was a premeditated act. Though authorities do not believe it was terror-related, they are going to be checking Rojas' recent history to see if this was a premeditated attack. They will be checking his cell phone and talking to neighbors and friends to see if he this was deliberate, though at this point, they are focusing on "mental issues" as the cause for this tragic incident.